Dental anxiety can be a problem for your child. If your kid is frightened at the thought of going to a dentist for an appointment, it’s important that you take steps to alleviate those fears. There are plenty of factors that may account for a child’s fear of the dentist. In many cases, this may be a result of the mother or father’s own dental fear, which can affect the way your child thinks of the dentist. Aside from the parent’s own anxiety, a painful experience at a former dentist, the sight or feel of dental instruments, and an unappealing office may all be factors as well. Oral care matters. That’s why you’ll want to make sure your child overcomes his or her fear of the dentist. Choosing a kid’s dentist in Chandler who has a way with children and knows how to put them at ease is important. A dentist with years of experience in treating kids will know what to say and do to help your child overcome dental anxiety. It may also help if you pick a dental office that has bright colors and a kid-friendly environment instead of one that seems sterile. When you look for a pediatric dentist, be sure to consider the basics. Start with logistical issues. How far is the dentist from your home? Is it near enough to where you live? That way, you can bring your child to future appointments with no problems. You won’t need to drive for over an hour or deal with brutal traffic just to get to a dentist’s appointment. If it’s too far, then you’ll need to check out nearby options that may prove much more convenient for you and your child. Also, consider the office hours. What hours are they open? Do those hours work with your family’s schedule? Factor that in as well. Aside from the basics, check out the qualifications of the dentists and staff on board. Find out the kind of dental treatments they specialize in. That’s one way to make sure you’re putting your child’s oral health in the right hands. 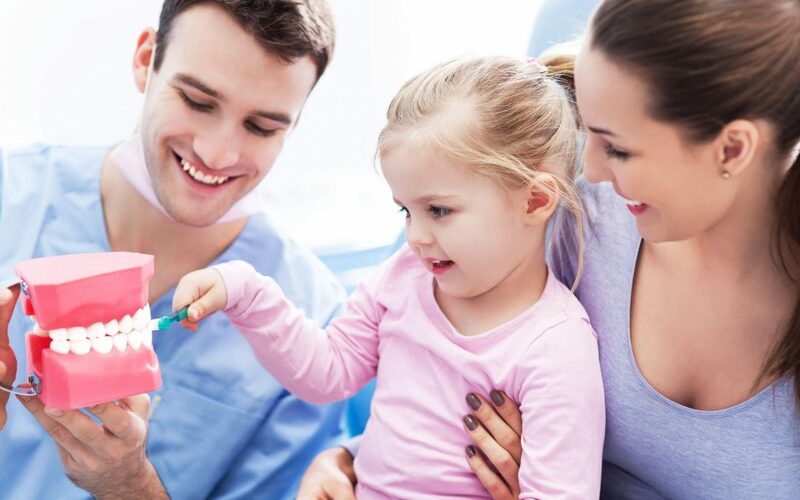 Make visits to the dentist less stressful for you and your child. Look for a competent and compassionate kid’s dentist in Chandler by getting in touch with the pediatric dental specialists.